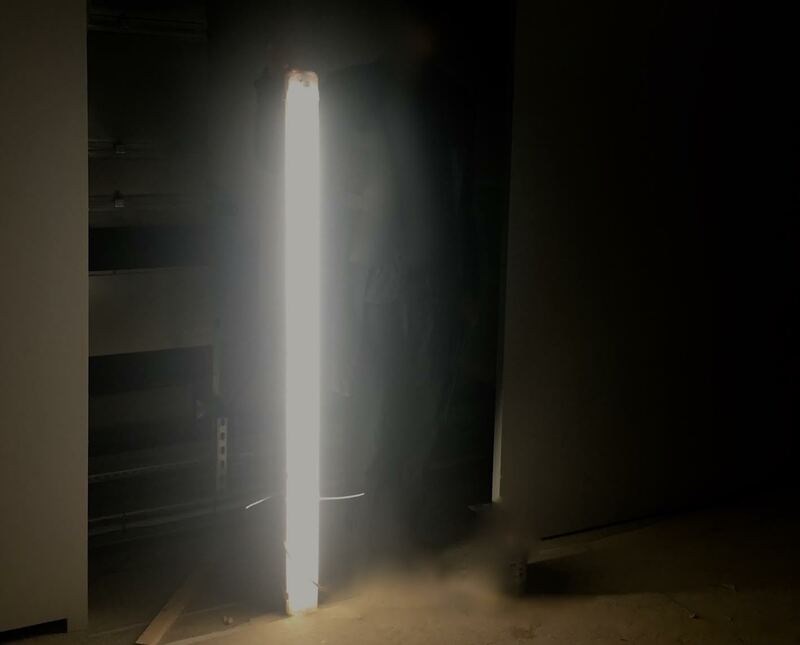 Swiss Institute is pleased to present A Plane Unseen and Scattering its Curve, au loin, an installation and concert by Sabisha Friedberg, taking place over two consecutive evenings. Using a triadic structure, the work poetically addresses the concept of the ‘angle of incidence’, from three connected states that propel desire: the exalted, the neutral and the profane. Considering the phrase ‘as above so below’, one of the central tenets of Hermeticism, Friedberg explores the behavior of reflected sound and its perception in this one-hour composition, comprised of three segments across the two levels of the Swiss Institute’s gallery space. Exploring the sonic construction of a reality that presents itself when what is heard is perceptually devoid of its source, the work suggests a perceptual fourth dimension, in which motifs of ley lines, parallel planes and spherical dimensions reoccur in an attempt to reveal the in-between unseen. Please RSVP with which date you would like to attend to rsvp@swissinstitute.net. Sabisha Friedberg’s composition, performance and installation work draws on the phenomenological and phantasmagorical, exploring perceptual delineation of space through sound, sculpture, and low-end experiential thresholds. She has performed and exhibited internationally, and recently received commissions through residencies at ISSUE Project Room, EMPAC (Experimental Media and Performing Arts Center, RPI), and The Clocktower Gallery. She has had recent solo shows at Audio Visual Arts and EMPAC, and released a double LP entitled Hant Variance in 2015 on the label Distributed Objects. She is included in the MoMA PS1 LP There Will Never Be Silence released in 2015. Friedberg received her MFA from Bard College following undergraduate studies at San Francisco Art Institute. She is represented by Audio Visual Arts.